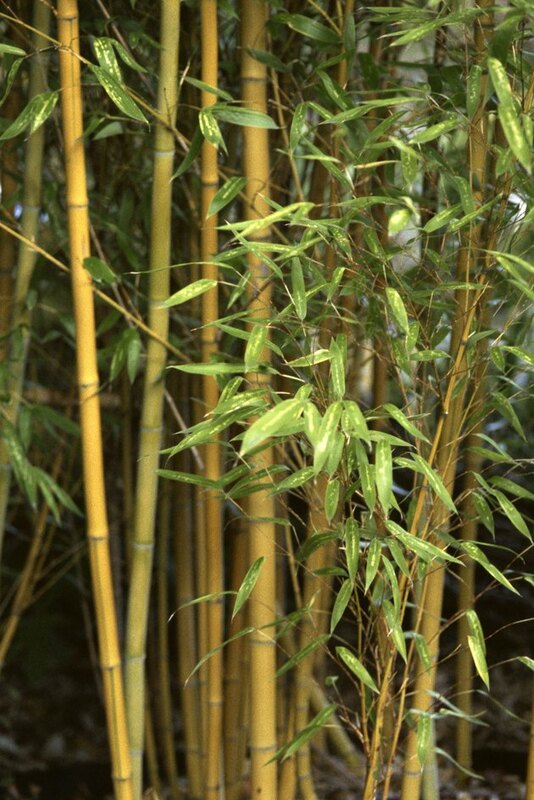 Bamboo will thrive if planted in compost-amended soil in a suitable site and watered regularly. To encourage the healthiest, most attractive bamboo, fertilizing with organic materials will provide extra nutrients for vigorous growth. Organic materials release nutrients slowly, at a rate the plant can absorb them. Chemical fertilizers are easy to overapply and the extra nutrients leach into ground water. Give bamboo nitrogen for lush growth. Apply fertilizer during the growing season only, roughly April through September, and stop feeding the month before the first frost in your area. The bamboo needs to use up the fertilizer before going dormant in the fall. Like any other grass, bamboo benefits from applications of nitrogen, a nutrient easy to furnish with homemade materials. If your plant is lush, green and growing well, little fertilizer is needed. Mulching bamboo with a 3-inch layer of composted cow, horse or chicken manure once a year will provide ample nitrogen. Of the three, chicken manure has the highest nitrogen content. Spread the manure outward from the plant into the area you want the bamboo to grow. Finely chopped grass clippings and homemade compost created from vegetable waste and yard debris are good sources of nutrition for bamboo. You can apply nitrogen alone by sprinkling blood meal or fish meal around the plant, if these materials are available from your nursery. Let the shed bamboo leaves remain on the ground around the plant as mulch. They are also a source of potassium. Steve Solomon, author of nine books on gardening, developed a simple organic fertilizer that is easy to make and use. The bulk ingredients are available at many retail nurseries. Mix, by volume, 4 parts seed meal (alfalfa, flax, sunflower, soybean, etc. -- a nitrogen source) 1/4 part agricultural lime, 1/4 part gypsum (or double the agricultural lime), 1/2 part dolomitic lime (lime is a calcium source), 1 part bone meal, rock phosphate or guano (for phosphorus) and 1/2 to 1 part kelp meal (for trace minerals). Sprinkle at the base of the plant, about 1/2 cup per every 15 plants.